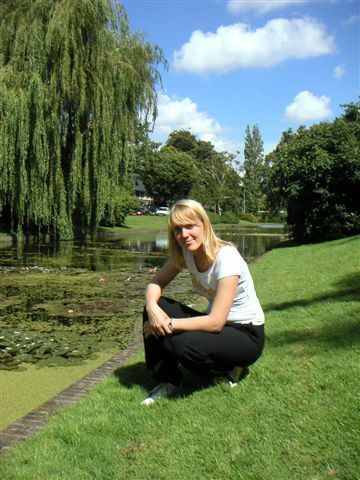 Dutch-born Australian expat Inge Korver returned to the Netherlands to discover her roots, and discovered the Lowlands were not what she expected. She is now making plans to move on. My parents emigrated from the Netherlands to Brisbane, Australia, when I was one. So all my life I have heard stories about the Netherlands — a very flat land where it always rains, is windy and cold. My parents wanted their children to grow up in a country with a better climate, where there would be enough space and where they could play outside. The stories that I heard at home were therefore mainly negative, but I still really wanted to know what my roots were. Furthermore, I had also got a totally different picture of the Netherlands from television — that it was a paradise of liberty. Everything was possible there and there were no rules! That attracted me enormously. So, I travelled to the Netherlands and lived with my uncle and aunt for the first couple of weeks and later searched for a room and started working as an English teacher for language institutes. Despite all the stories, I was so surprised by how flat and green the land is. And everywhere water, everywhere! In Australia, everything is dry and brown, especially in the last few years when we have had enormous drought problems. Before I came here, I had not seen rain for a year. The people in the Netherlands are also very happy if the sun shines and immediately take their clothes off. And it was amazing that they all queued up to sunbathe on the beaches! In Australia, you have watch out for the sun! I had expected that the night life here would be very cool and hip, but that was a disappointment. The music is perhaps a bit more modern, but all the discos and pubs are so small. One large difference is that you don't have to identity yourself anywhere, while in Australia you always have to show ID if you want to get in somewhere because there are extremely high fines for selling alcohol to minors. The pubs here are also blue with smoke, while in Australia you can hardly smoke anywhere, which goes also for shopping centres, stations and the like. And I haven't even started about the marijuana. I think that due to the strict policy in my country, smoking, alcohol and drugs actually become very attractive for people and that a lot of criminality arises because of this. There is a very large alcoholism problem in Australia and thus a lot of aggression on the street, especially from homeless people and beggars. You don't see that in the Netherlands. It is okay if you don't give a beggar anything, but in Australia they often swear at you. In the weekend, there are also very often fights as drunken people leave a club or bar. I feel that the cities are becoming increasingly unsafe because of this. On the other hand, Australians are a lot more relaxed — the people here are always stressed, are always rushed. With us, you go and enjoy sitting outside or take a walk, it doesn't matter if you come a half hour late to an appointment. I find that Dutch people are a bit cold in contact with people. I am used to women — if they know each other — giving a hug. I think the three kisses here are a little bit distant and fake, they often land in the air! A hug feels much closer. As a woman in Australia, you don't give a man a hug or shake hands, this is just not done. You simply don't touch a woman. Therefore, I had some difficulty with the body frisking in some Dutch nightclubs. The attitude of Dutch people to foreigners is a lot less open than where I come from. In Australia, everyone is a foreigner and that has been the case for 200 years or so! The Netherlands and especially Amsterdam is very multicultural, but everyone just hangs out in their own groups. It appears as though people are scared of other cultures. They judge very quickly and I think that is evidence of little toleration. My parents always spoke Dutch with each other and my mother half-English and half-Dutch with us. I have thus always heard, but personally have never spoken Dutch. Once in the Netherlands, I had to of course and I then noticed that — thanks to my mother — I knew a very large number of household words such as kraan (tap), stopcontact (power point) or bloemkool (cauliflower). But I totally didn't know how to express myself business-wise or how to speak about feelings. Moreover, I had taken on the West-Friesian dialect that my parents had spoken, so I was not really comprehensible with my Australian accent. I studied a course at the Free University and the rest I learned from my family here and from television. I have now a large vocabulary and speaking goes well, but my grammar and writing are not so good. Now, after one and a half years in the Netherlands, I am going back home to Australia together with my Dutch boyfriend. I notice that I cannot really settle here. I always felt in Australia 50 percent Dutch, but now that I am in the Netherlands I feel that I am 90 percent Australian! I have a lot of difficulty with the bad weather and I have not found the freedom that I had expected to find here. On the contrary, the Netherlands is full of rules! If you want to plant a tree in your garden you have to ask permission, you're not free to paint your house a certain colour, there are rules for cars and parking, the tax is very high. Wow... I realise now that Australia is a very free land. Okay, abortion and drugs are illegal with us, but to live there it is so much more relaxed. Incidentally, I also heard from my family here that this freedom was also the true reason why my parents left the Netherlands. Inge Korver told her story to Nicole van Schaijik, who owns and operates Talent Taaltrainingen (Dutch Language Courses), based in Amsterdam. Editor's note: Unlawful abortion is subject to criminal law in Australian states and territories, but some states allow for a statutory explanation to be given stating that an abortion is not illegal if performed to preserve the pregnant woman’s life.